The multimedia CD-ROM of Magical Chinese Characters is a stand-alone CD-ROM which is designed to help you master the "building blocks" of Chinese characters and learn how single-element characters and compound characters are formed. There are 21 lessons in total. 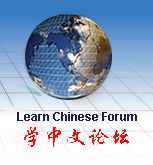 Each lesson introduces three characters, related words and phrases. It teaches Chinese characters by means of pictures, explanations of pictographic characters, practice in pronunciation, demonstrations of strokes of characters, easy reading, self-testing quizzes and writing assignments, etc. A combination of all these exercises makes the learning process of Chinese characters easy, enjoyable, and effective. There are altogether three levels of Magical Chinese Characters. This is level one, which will help you expand your written vocabulary up to 200. In levels two and three, you will learn all the other radicals and phonetic components you need to expand your written vocabulary up to 1500.